My mathematics blog finally broke the psychologically important barrier of 1,000 page views in January! It’s an important barrier to me. WordPress’s statistics say I drew 1,031 page views in January, the largest number since July. In December 2016 I’d puttered around 956, and November 923. This came from only 586 distinct readers, about the same as in December (589) and November (575), but that just implies more archive-binging going on. What’s baffling and a tiny bit disheartening about this is it came on one of my least-written months. I posted only 11 articles in January, compared to 21 in December and November. This was my laziest month since September. I have no idea what’s the most economical balance between time spent writing and instances of being read. But given two of the top-five articles this past month I suspect I got identified as an authority on a couple of questions. Part of why I suspect that’s so: there were only 97 pages liked around here in January. That’s the lowest count I’ve seen in the past twelve months, and it’s down a fair bit from December’s 136 and November’s 157. Maybe I need a couple more posts per month to encourage reader engagement. Or maybe not. There were 33 comments in January, not that different to December’s 29 and November’s 35. I think that a lot of January’s comments were examinations of December’s readership review. That counts, of course, although it suggests people have more fun talking about blogging than they do about mathematics. I can’t fault them; there’s a natural limit to how much there is to say about a comic strip filling a blackboard full of mathematics symbols. According to Insights my most popular day for page views here was Thursday, which throws me. It’s usually Sundays, when there’s always a Reading the Comics post. But for January it was Thursdays, with 16 percent of page views. That’s not very much above 1/7th of the days, though, so I suspect there’s not much link between what day it is and whether anybody reads me. The most popular hour, with 10 percent of page views, was yet again 6:00 pm, which I’m assuming is 6 pm Universal Time. I set most posts to appear at 6:00 pm Universal Time. How Many Grooves Are On A Record’s Side? because ‘1’ is not the answer that satisfies people, for fair reasons. Reading the Comics, January 7, 2016: Just Before GoComics Breaks Everything Edition and I hope folks aren’t disappointed that GoComics did not, in fact, break everything. How Many Trapezoids I Can Draw, always something people would like to know. Just wait until I figure out how many pentagons I can draw. Reading the Comics, December 30, 2016: New Year’s Eve Week Edition, which didn’t have pictures but did let me say who invented the word “tesseract”. 48 Altered States which proves what they always say: people love Voronoi diagrams. Here’s always-liked list of countries and number of page views from each. And for another month running India’s a top-five country; I don’t know why that should satisfy me so. Singapore comes in pretty high too, but I can explain why that satisfies me. I used to work there. Bangladesh, Belgium, and Kuwait were single-reader countries last month. No country’s on a three-month single-reader streak. 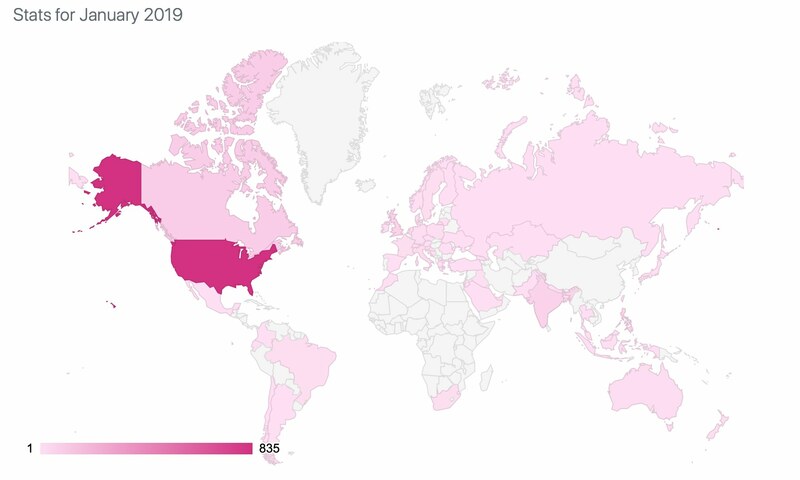 There were 53 countries altogether sending me readers, up from December’s 50 and November’s 46. I make that out as 13 single-view countries, technically down from December and November’s 15. The mysterious “European Union” reader is gone again. urban legend venn diagram	(I know of no urban legends about Venn diagrams and would be delighted if someone shared one. I also don’t know any Venn diagrams showing elements in common among various urban legends, but that would probably be a neat way of organizing at least some tales and I’d be glad at least for seeing those). February starts with my blog having 45,135 page views from 19,475 admitted distinct viewers. (My first year or so WordPress didn’t record unique visitors in any way they’ve told us about.) I seem to start February with 646 WordPress.com followers and I don’t know how that compares to the start of January. I failed to keep track of that. I do wonder how many of those are active yet. If you’d like to follow my blog here please click the buttons on the upper-right corner of the page. You can have new posts e-mailed to you, or you can follow in the WordPress reader, which gives me the chance to fix my stupid typoes. And I’m on Twitter as @Nebus, with usually just a couple posts a day. I don’t understand those folks who have 86 things to tweet about every hour day and night either. Thank you, won’t you please?